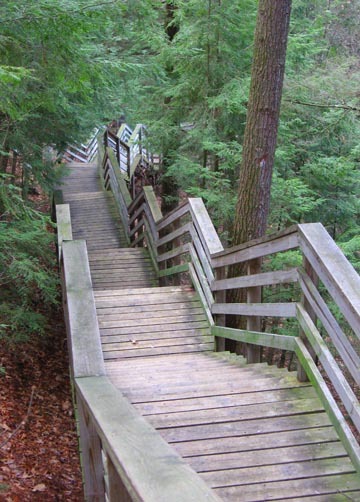 A winding wooden stairway at the Iargo Springs Interpretive Site takes the adventurous down to the edge of the AuSable River, along a mossy bottom land. Here several springs erupt from the sandy banks. 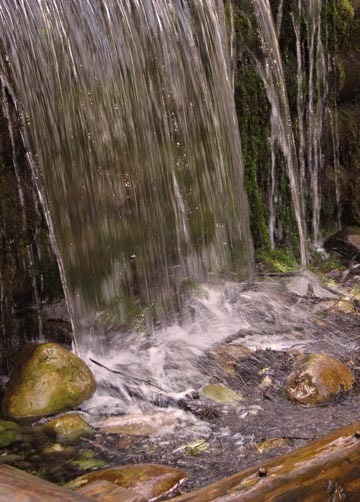 Small waterfalls tucked beneath large hemlock, maple and pine create a fairy tale atmosphere. 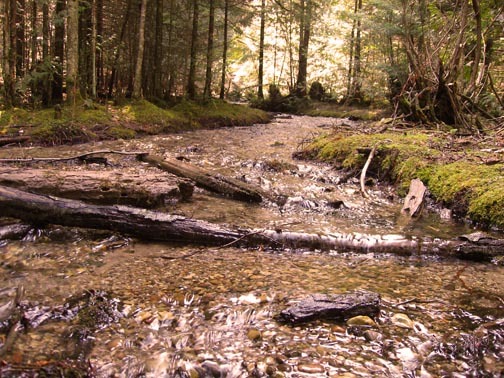 The mystical site was used by Native Americans who believed the rushing spring waters held magical powers. For those unable to walk the 294 steps of the stairway, a large deck extends over the bluff providing a panoramic view of the river. The boardwalk area is home to both Louisiana and Northern Waterthrushes. 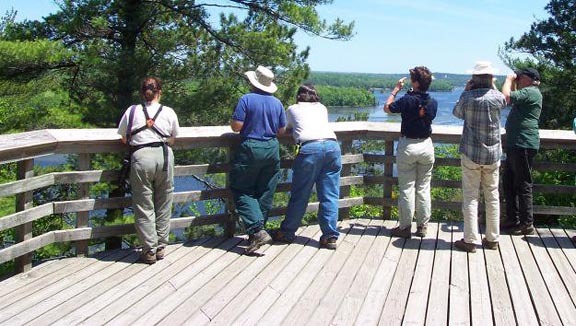 Take one of the boardwalk spurs out to the wildlife viewing platforms located on the edge of Cooke Dam Basin and scan along the steep sides of the gorge for Bald Eagles. Also, search carefully across the water for Common Loons and Trumpeter Swans which both nest here. Winter Wren, Yellow-throated Vireo, Black-throated Green, Black-and-white, and Pine Warblers also nest near the boardwalk and can often be observed in the surrounding trees.